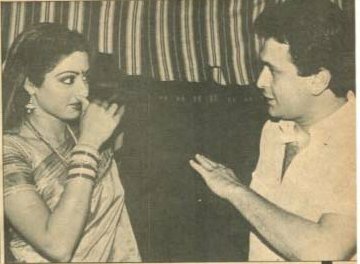 Sridevi: "I've worked with many directors but director Harmesh Malhotra is one of a kind. 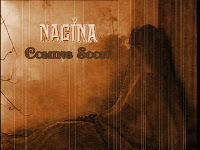 He's so sweet and understanding. 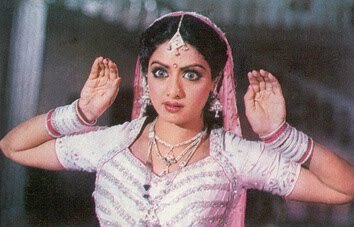 If I as much as said I wasn't feeling well, he'd promptly cancel the shooting. The credit for the success of Rajni's dances in the film goes to Sarojji (Saroj Khan). 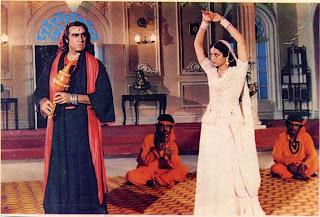 She gave me excellent dance steps to execute and I'm 100 per cent sure that the film would not have been a hit without her dances. 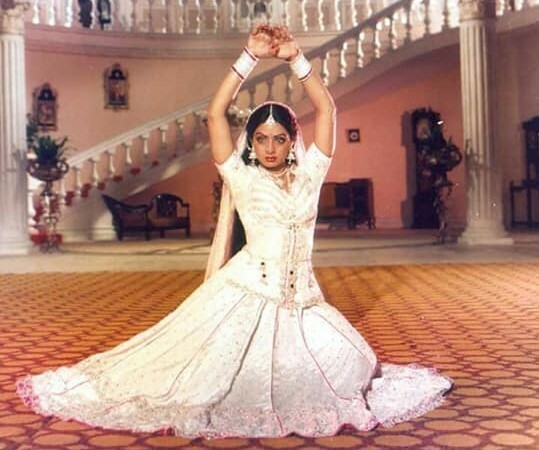 Incidentally, everyone thinks I'm a good dancer but aisa kuch nahin hai [It is nothing like that]. 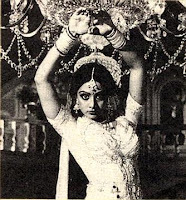 I've never undergone any formal training in dance and whatever I know, I've learned on the sets. 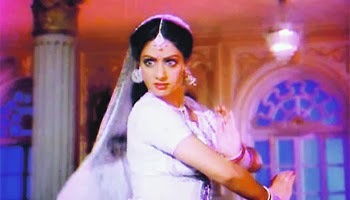 It was Sarojji who gave me my dance style and taught me how to emote while dancing. 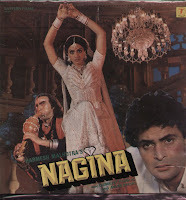 All those expressions you saw in Nagina were hers - I just copied them." -- Sridevi spoke to Meera Joshi about NAGINA, for Filmfare magazine. 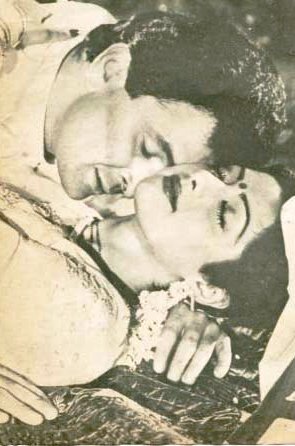 Rishi Kapoor and Sridevi in Nagina. This movie was a gargantuan hit back in 1986. 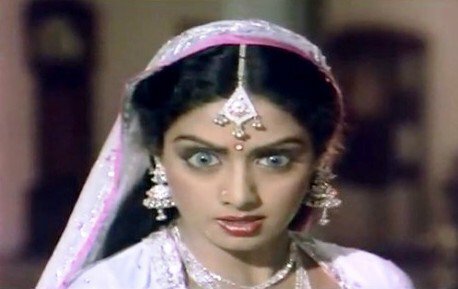 A suspense thriller with mythological and super-heroine (with all those superpowers, surely Sridevi was the first 'superhero' on Indian screen?!) tendencies, Sridevi's finale dance number carried the, often absurd, film. 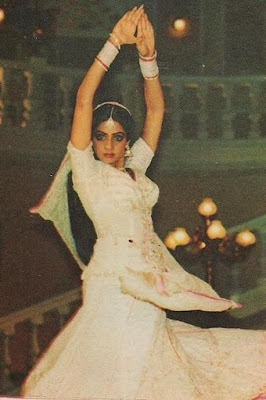 Filmfare Awards were not held that year (nor in 1987) but surely Sridevi would have won an award for her extraordinary performance. 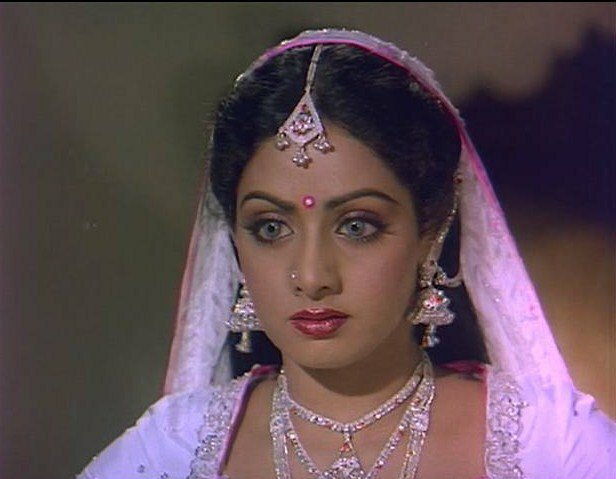 If there was a retroactive reward for stellar performances, Sridevi's mantle would have a trophy for Nagina in 1986 and Mr India in 1987. 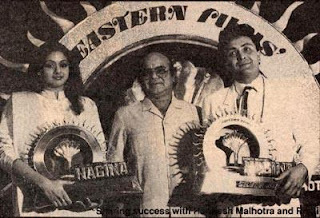 Also in this collection, a rare gem of a pic, Sridevi with director Harmesh Malhotra and co-star Rishi Kapoor at the Silver Jubilee success party of Nagina. 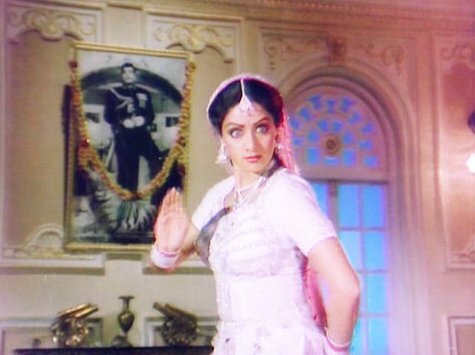 Not one for the party scene, it is hard to find superstar Sridevi attend events without reason. 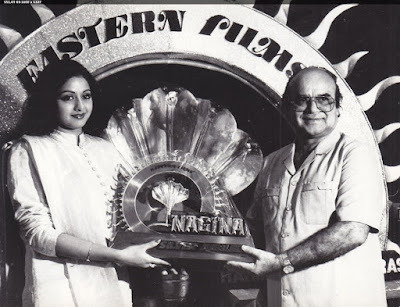 As she has said before, when she was working, she rarely attended parties or did the cocktail circuit, but she made exceptions for her own movie events. sri devi is v humble and she did a great job in this movie greatest than any other actress could have ever done. 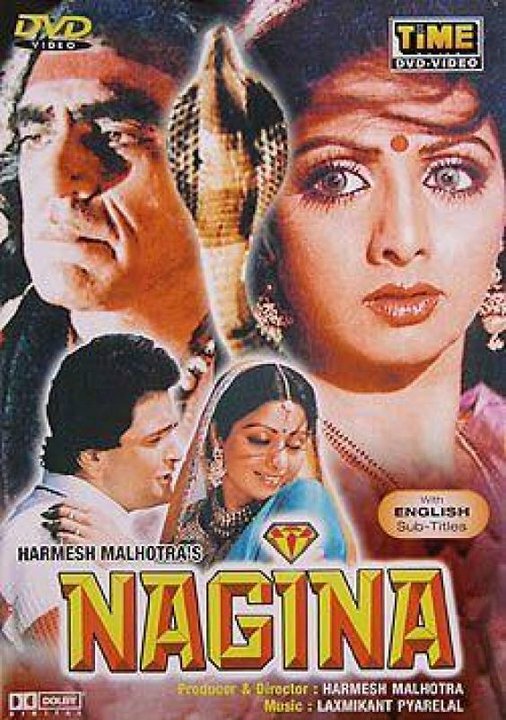 there were 100s of snake movies made after Nagina but none left an impact. 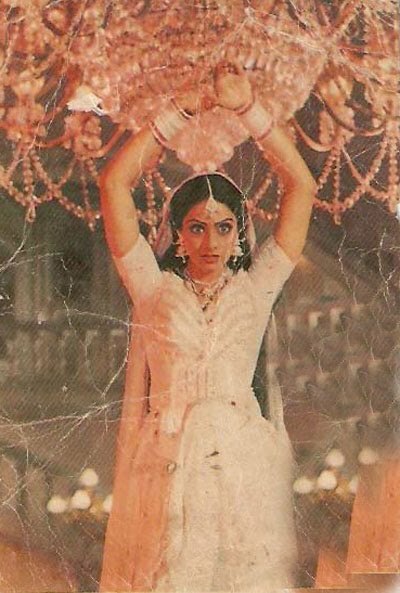 I just loved sri devi in this movie. 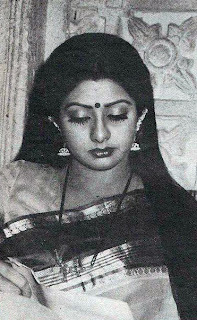 she is versatile. beautiful confident and acts v v well.